Kansas State University may be located in Manhattan, Kansas, but through its distance learning programs it is able to reach beyond state borders, across land and sea to impact the lives of students. Connection and allegiance to K-State is strong, even for students that never come to campus. Jodi Chowen and Marilee Ching are colleagues, that both work full time for Brigham Young University Hawaii, but they are also Wildcats. 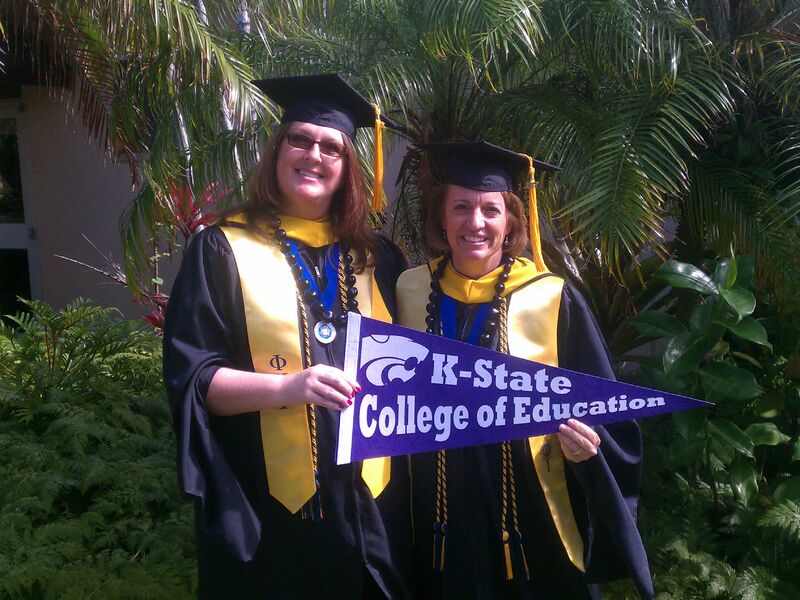 In December 2012, Chowen and Ching completed online master’s degrees in academic advising from Kansas State University. At a recent Kansas State University alumni event in Honolulu, about an hour’s drive from their university, the women had an opportunity to see that they are not alone in their connection to Kansas State. “I don’t think I realized how deep purple runs until we received the banner and pens from Dr. Ken Hughey, followed up by a meeting with alumni and College of Education Dean Debbie Mercer,” said Chowen. Both graduates enjoyed their time attending Kansas State University and highly recommend the online Academic Advising Graduate Program to others seeking to enter or enhance their advising careers.